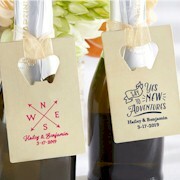 Have your guests remember your baby shower fondly with each sip using our Baby Love Personalized 9 oz. Stemless Wine Glass! 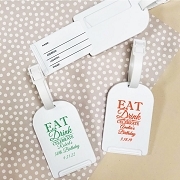 Adorned with your name and the date of your shower, your shower will be commemorated with a beautiful and useful baby shower favor your guests can use for years to come. 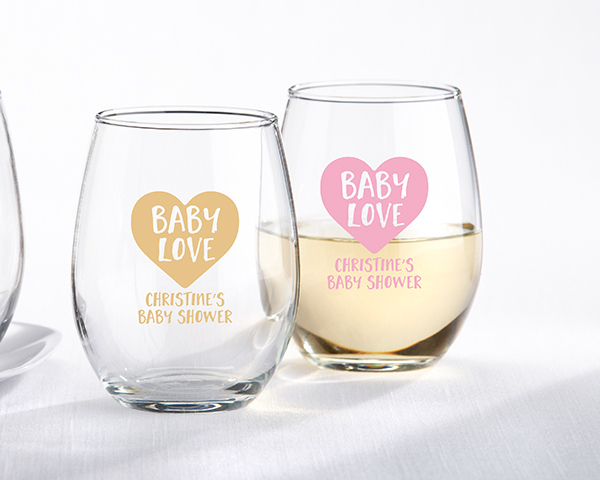 With an adorable design featuring the phrase "Baby Love" inside a pink or gold heart, you can incorporate these into showers of any theme!